Winter in Canada is now in full swing, and this time of year is a good opportunity to think about what type of maintenance your vehicle may need after the harsh season. Hopefully you had a general tune up done to your car before winter, to make sure it was in optimal condition to brave the elements. Maybe you had some rust proofing done to safeguard your vehicle against snow, ice, and salt which can quickly turn to rust without adequate protection. Making sure all your fluids are topped up and filters are functional also make for good preparation. If these issues haven’t been addressed before the winter started, it is highly recommended to take care of them as soon as the winter is over. When the weather begins to warm up, is when rust has ideal conditions to form and spread and your car is now exposed to a whole new set of driving conditions. Another aspect of vehicle care that should be taken into consideration is your tires. Properly functional tires are essential to the safety of you and your passengers. To get the most you can from your tires, consistent tire rotation is the way to go. Tires that are not regularly rotated will wear unevenly. This means that one or more of your tires will wear out before the rest of the set. Once one tire in the set is worn out, the whole lot will have to be replaced. One of the most important reasons for rotating your tires is safety. Safety for you as a driver, but also for the passengers in your vehicle, and the other drivers on the road. Once your tires begin to wear and bald, your handling and response time will be compromised. You may not be able to stop fast enough to avoid peril, or have the traction to steer your way out of danger. There are not too many vehicle owners that are not interested in saving money in expenses. 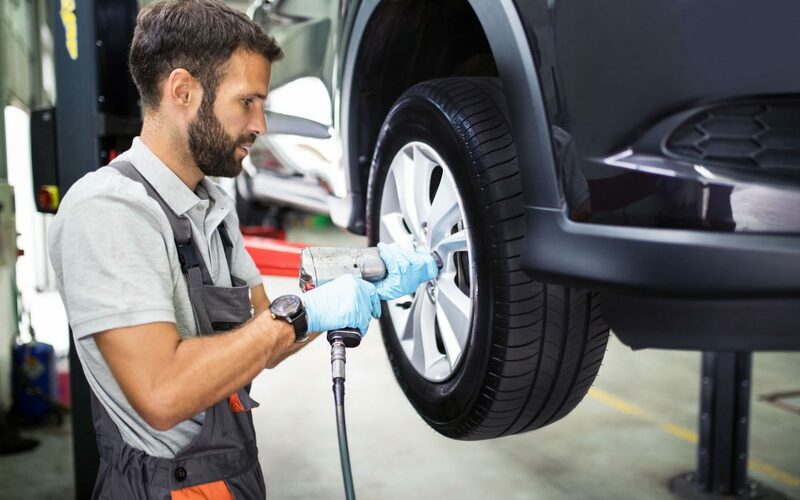 Having your tires rotated by an automotive professional may come with a moderate fee, but it will save you money in the long run, as your whole tire set will need to be replaced less frequently. Making your tires last as long as possible makes sense for your car, your wallet, and the environment. The more often you have to replace you tires means the more money you spend, and the more used tires that are going to be put in a landfill site. Well kept tires will most certainly enhance the performance of your vehicle. They allow you better traction, handling, steering, and braking. Tires that have been maintained and rotated regularly can help bring peace of mind to owners. Car owners can rest easy knowing they have taken the right steps to improve safety for everyone on the road. A recommended practice to get into, both before the winter and after, is to take your car to an automotive professional for tire rotation and a general check up. With over 20 years experience in the automotive industry, the expert technicians at Valvoline Express Care Brampton are ideal solution to all of your automotive needs. Valvoline Express Care can help prepare your automobile for the upcoming season, a long trip, or whatever you may require.